Currently, Three Tales of My Father's Dragon is still being read at bedtime (although we scored the first book in paperback at that used book warehouse sale). I've also started Among Others. On the Banks of Plum Creek is still being read alternately with Three Tales of My Father's Dragon. 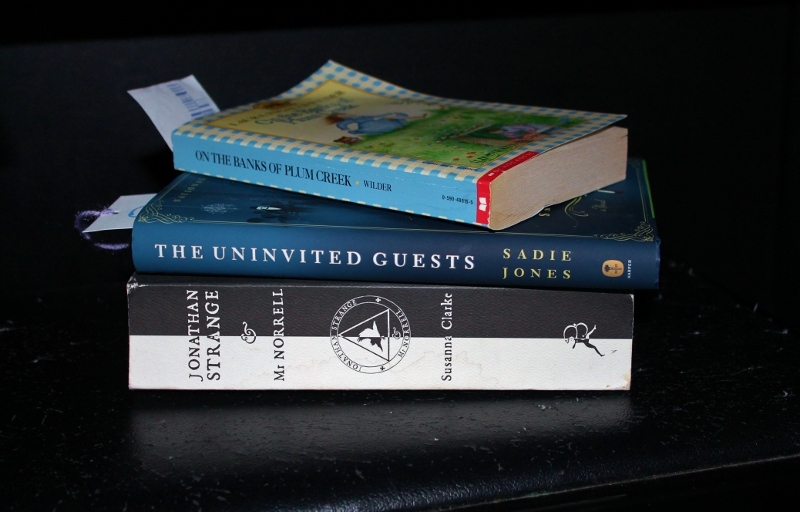 The other two books I have had to put on hold, in order to read the library stash! Books That Just Moved Into My House That I'm Dying to Start!!! 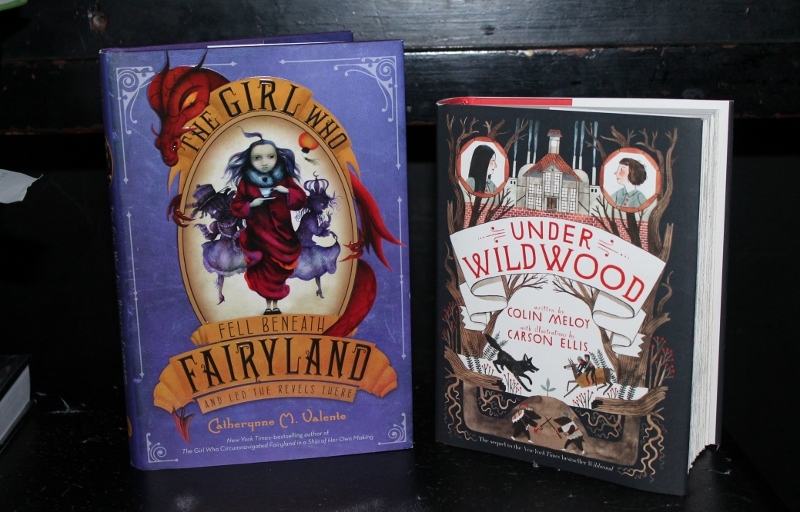 Two sequels to delicious "young readers" titles that my girls are too young for, but which I ravenously devoured. Does anyone else have an unwieldy pile of books to read? 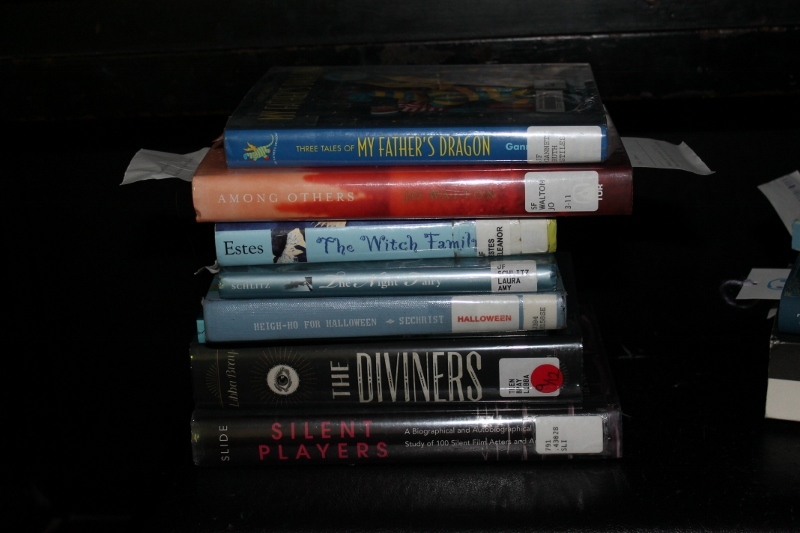 Why do I feel the need to place so many holds at the library, when I have so much at home? And poor Little Sis is so anxious for us to finish our two bedtime books, so we can start The Wonderful Wizard of Oz! Oh, books... I love you so. I am always juggling too many books at the same time, for both myself and the kids. And there's so many books I want to re-read too... I always say that when I am retirement age I will get to all those books I always meant to read but never did, and also to re-reading all the old faves, at the same time as reading new ones that have come out... I'll have to be reading all day to accomplish all that! Oh, Danzel how I love YOU so and your wonderful posts! I can't wait to make pumpkin soup for my girls and curl up with some of these great books you have mentioned.